Theatre along with the wards are two of the main hubs of activity on these trips. 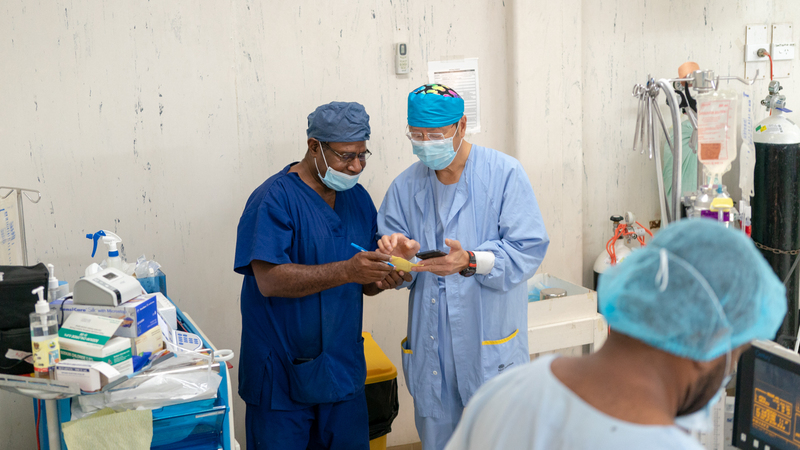 By the end of today the local theatre team assisted by Open Heart International (OHI) volunteers would have accomplished 11 surgeries. 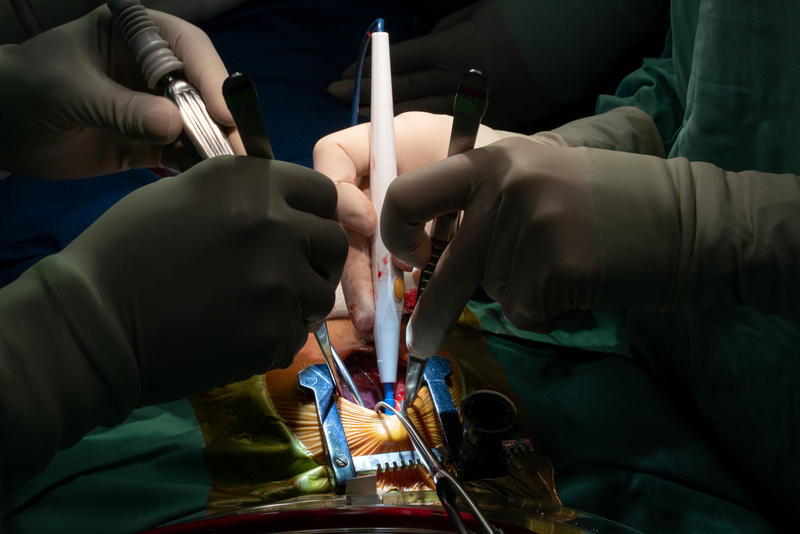 Today are three surgeries which will see the team working from about 7am to about 10pm. Tomorrow morning (Friday) will be the last surgery for the OHI team assisting the locals. Today the team is putting in the work not only on surgery itself but also training the local staff alongside it. 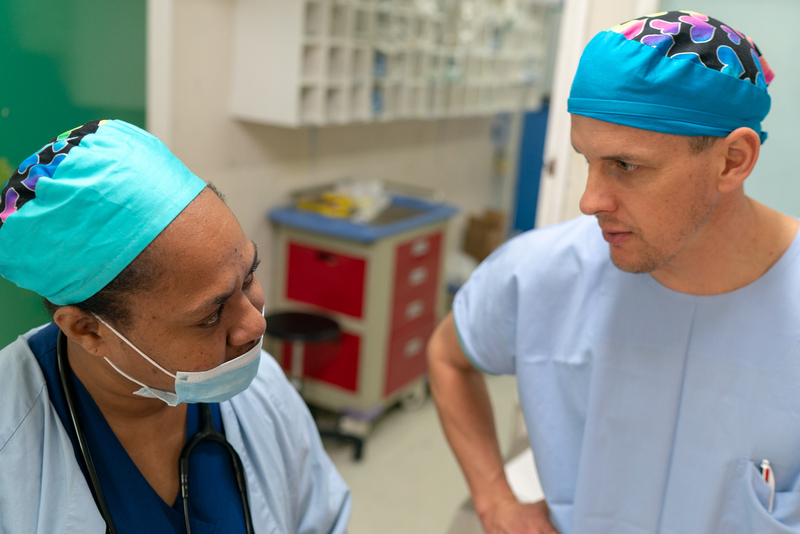 Theatre nurse Kimmi (who has been on every PNG OHI trip except one) has run small groups of trainee nurses through the process of cardiac surgery. Explaining how cardiac surgery works is all new to them. They mostly come from other parts of PNG where most of a work day is trauma cases like spear wounds and machete attacks. 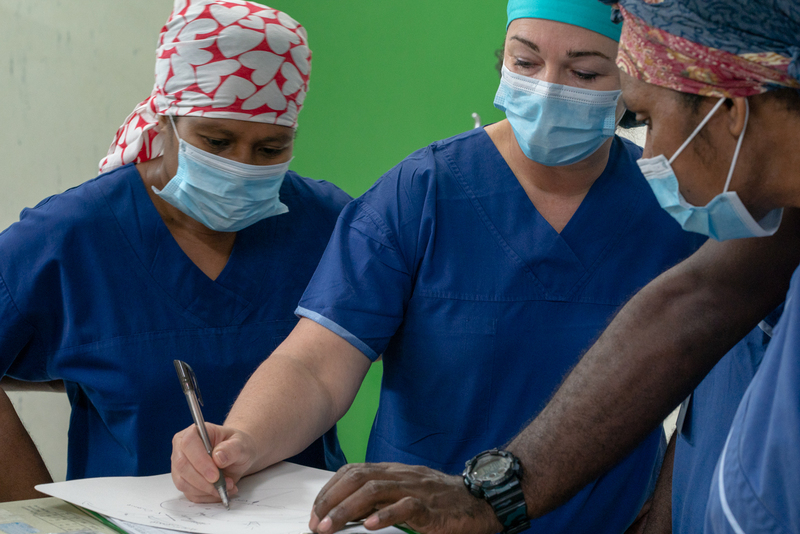 While the OHI staff are amazed by what these local nurses see on a day to day basis, the trainee nurses are in turn are amazed by the cardiac surgery being performed in the main operating theatre here at Port Moresby General. To myself (and I’m sure others who don’t work in a medical or health profession) everything everyone here does is all rather amazing! The OHI perfusionist Paul, runs through ongoing training with Norman the local perfusionist as well as the other local doctors and nurses from theatre and the ward. Paul runs the heart and lung machine that supports a patient’s heart during surgery. He discusses the processes to others in theatre while Norman works the machine during the surgery and provides support when needed. Norman has been working on his skills constantly for years now. However, it is obviously tough only being able to really apply the role every six months when OHI visit. 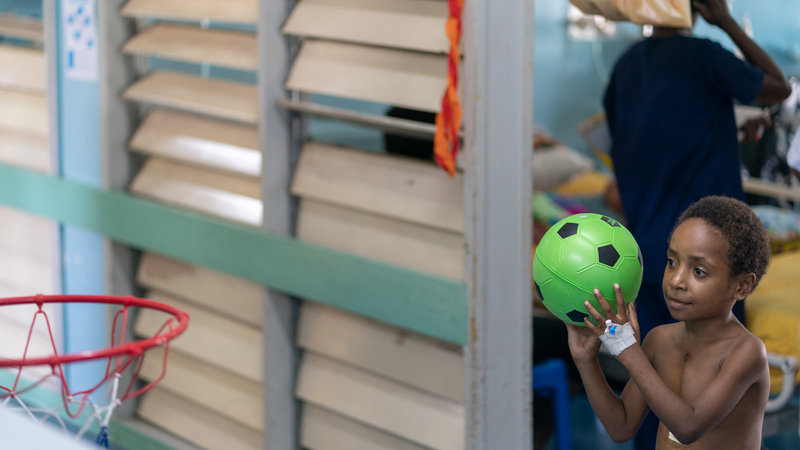 The more cases he would get to do the more ongoing skills that would be retained if the opportunity was available to him and others here at Port Moresby General Hospital. Same goes for everyone involved. If the support and opportunity was there for ongoing surgery and skills development the better the program here would be when it becomes its own independent heart centre! The patients are doing very well here today on the ward and in ICU. Three will be leaving intensive care today from the past two days of surgery and heading out to the main ward. 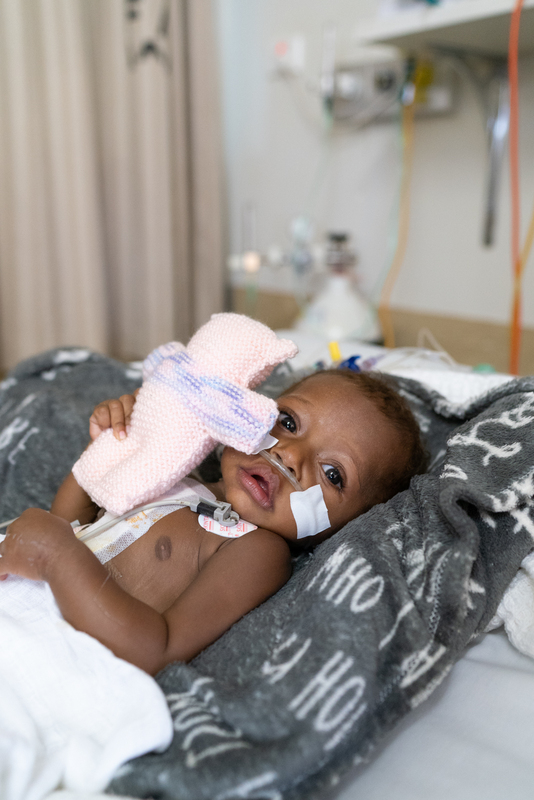 Previous patients such as Rihanna, Bartilani and Issac spent the day resting between bouts of sports. Everything from bubbles, bowling and basketball go down between games of darts and soccer and goes well into the early evening before it gets packed up for sleep around 7pm. The families of the kids get amongst it, helping everyone move around, work their lungs and recover after surgery. Rihanna already feels better just days after surgery. 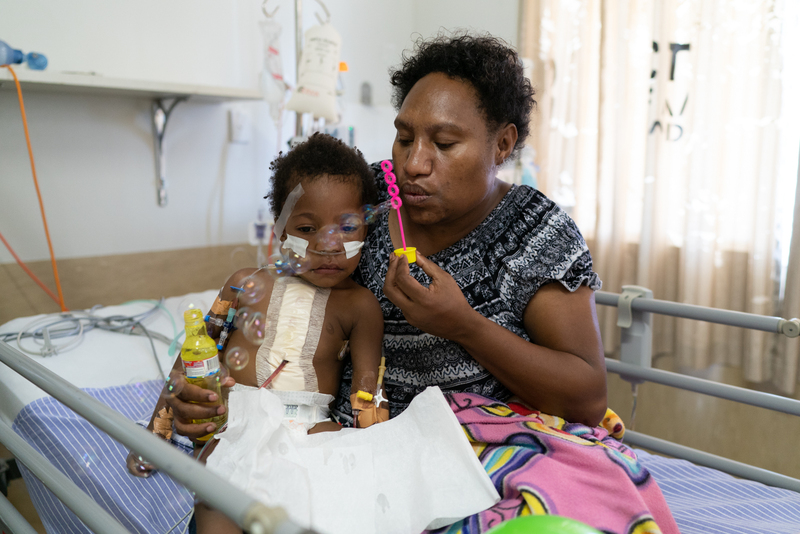 While she may have had trouble even walking small distances previously, she is now touring around the building and says she can breathe and no longer feel her heart problem in her chest. Her father Ronny is attentive and caring as he assists her recovery. He is also extremely grateful to not only the immediate team here on the wards and in theatre but also everyone that has supported the program behind the scenes. This statement is echoed from everyone I meet. 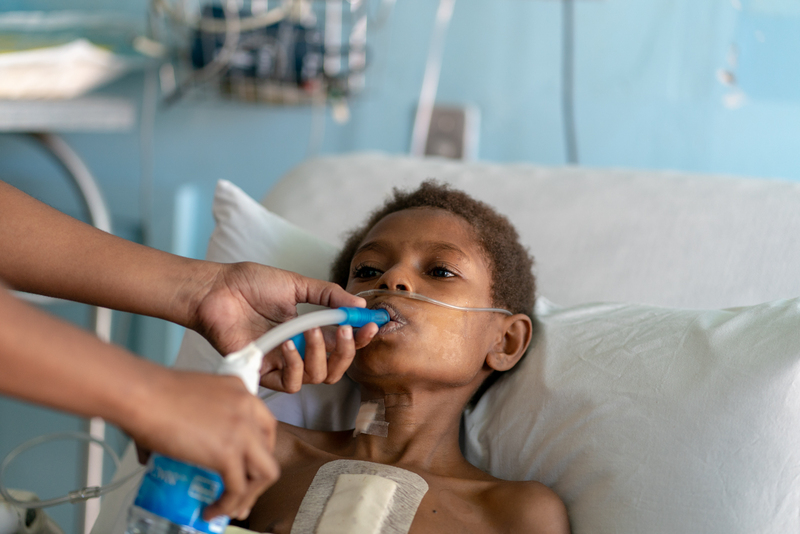 Big thanks go out to every sponsor and donor, whether a small personal donation to OHI or some of the bigger corporate sponsors of the hospital. The life changing cardiac program here is something they don’t take for granted and aim to make the most of in every way possible!